A tribute song by ISPR for Peshawar School Martyrs. Pata Kiya Puchta Hai Wo, Kitaabon Mei Milunga Main! Kiye Maan Se Hain Jo Main Ne Ke Waadon Mei Milunga Main! Ye Uska Wehm Hoga Ke Wo Aesey Khwaab Maare Ga! Tumhara Khoon Hoon Na Is Leye Acha Lara Hoon Main! Bata Aaya Mai Dushman Ko Ke Us Se Tou Bara Hoon Main! Bara Dushman Bana Phirta Hai Jo Bachon Se Larta Hai! Aman ALLAH Kaha Mujh Ko, Mera Beta Bulaya Tha! Jahan Tum Choomti Thi Maan, Wahan Tak Agaya Tha Wo! Mai Jitna Na Parha Wo Sub Mera Bhai Parhey Ga Ab! Abhi Wada Raha Tum Se Yahan Na Aa Sako Ge Tum! SUPERB ! LONG LIVE PAK ARMY. very good website. thanks for sharing video and lyrics. Hi h r u..Aiza ..
ap ko kisi ne bataya hai iske writer ka naam ?? What a attractive song this is, If our Nation will make unity so we must defeat to terrorism and we can root out of the terrorists. May God bless to shuhdas! who is the writer of this poem. I think this line says it all. Long live the pak army. We won’t forget this amazing act of sacrifice. kis ne gyaa hai ye plzz answer me????? I love pakistan. Pak army don’t leave your hopes try ur best to finish this cruel acting. Pakistan Zindabad. !!!!! All Schools must be advise to Play this song once a week, and every true pakistani must be play daily and all family member should be sit arround the TV.. I can not forget the APS incidient.. This song always hit my hearet. Every Maan listen this line and Put her beloved child in front him and think about what was happen at that time when our enemy hit APS ” Masoom” Student. very nice and sad song super……. Pakistan army is the best army in the world .I want to join it . Pak army Zindabad. tum nay thk kaha . Hi h r u… dear ..did u really feel ? is ispr song ko har pakistani school annual faction main shamil rakhna chaihai is poem ko school ki nesab main shamil krna chaihai.is poem ki pore teem ko azem khraj e tahssen. I love Pakistani heroes.you all of you our ideals.we follow you guideline and serve our life for our beloved homeland. zabardasttt…. 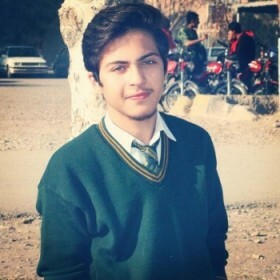 vry heart touchng wordsss…..we love peshawar school martyrs…..love u forever ever n ever………..